MARTHA’S NEW WEBSITE Martha has a new CD. It’s got lots of great new songs beautifully produced by Yuka C. Honda. Here’s a video of Martha doing Kate’s Proserpina. This is the last song Kate wrote. It was around mid-October 2009. She sang it in the Royal Albert Hall Christmas show on Dec 9. This was to be her last public performance. 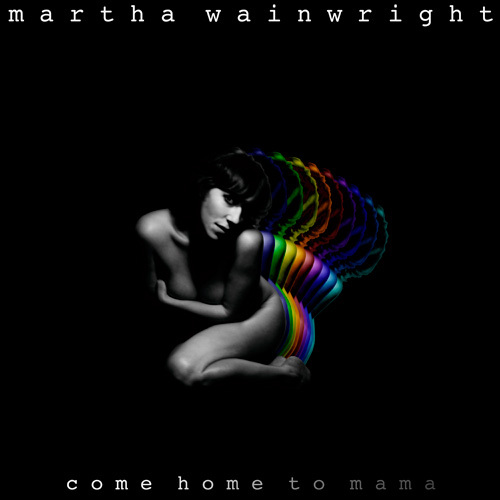 Martha Wainwright: Proserpina on Nowness.com. Wonderfully raw and beautiful, thank you. Just Beautiful!! I’m sure Kate is smiling & watching from above!!!! Another wonderful song sung by a beautiful heart. I cry every time I hear Proserpina, and Martha’s done it proud…tears started rolling down my face almost from the start. I will always wish that Kate was still with us, but if she had to write her last song, she left us with a wondrous heartrending jewel to keep her close to our hearts. If anyone were to record “Proserpina” then it should have been Martha. It’s a different take on Kate’s last song but I love it. I’m sure Kate would approve. Martha je kan trots zijn,kate zingt met je mee. Think it’s time for Anna to open up another thread to get into a likely lively discussion of Martha’s ongoing output of French songs for the soundtrack of Trauma (a Québequois version of ER). I love her cover of “Ayoye”, just made available in the last few days. Taking on a Gerry Boulet classic, in Quebec, in French, wow, that’s ballsy! The comments are going to come thick and fast and furious, pro and con. As a video it interests me beyond the music. did you ever see the auditions for the part of Rebecca that various actresses put out. one of the auditions by a woman who didn’t get the part invented the whole portrayal for the actress who eventually performed. it’s pretty hard to see Rebecca without seeing ann baxter now. no one ever replaces anyone else but to suggest… The more variance in renditions the better I think. As a song Proserpina strikes me as a fragment of a larger work. The Mcgarrigle family history of being family foremost may cloud the interpretation of the words of this song. My kid’s crying gotta go. My goodness, but this is lovely. Lovely beyond word, lovely beyond tears. In its simplicity it penetrates straight to the heart and this rendition of it shatteringly beautiful. Congratulations.